Welcome to the 89th episode of Motorz! In this episode (S07E05), Chris Duke finishes up the exterior modifications of our 2014 Jeep Wrangler JK project vehicle, including new headlights and tail lights, exhaust and suspension improvements, and a very cool LED lighted off-road whip called SmartWhips. Alan Taylor takes you to Bondurant’s Racing School for an exclusive interview with legendary racer Bob Bondurant, then Chris and Alan take the Shell Pioneering Performance Stage at the SEMA Show! 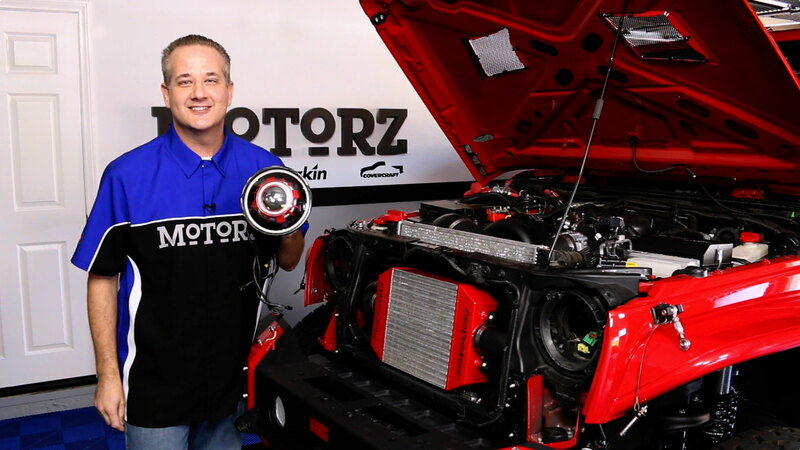 In Partz, Chris shows you how to properly care for your vehicle when your check engine light comes on with a Craftsman 5-pc Extreme Grip Wrench Set, shows you the Superwinch S-Series Performance Trailer Winch 5,500lb S5500SR, and shows another option for wheels and tires with Interco Vortrac Tires & Swamper Wheels.